The Jamaica Arts Council (aka “JAC”) is an arts service effort dedicated to supporting the growth of the arts in Jamaica. Growth of the arts requires four things: 1) support of artists – both professional and amateur; 2) support of the institutions that educate and/or train artists; 3) support of arts presenters; and 4) support of the arts by those doing business locally. As such, the Jamaica Arts Council has four separate but complementary “sections”: 1) an arts alliance section – comprised of artists and charged with supporting same; 2) an arts educator section – comprised of arts educators (for-profit and non-profit) and charged with supporting same; 3) an arts presenting section – comprised of presenting organizations (local and otherwise) and charged with ensuring the ongoing presentation of the arts; and, 4) an arts and business council section – comprised of those doing business locally and charged with facilitating the support of the arts by same. The Jamaica Arts Council was organized by Jamaica born and raised resident Greg Mays. Mr. Mays is a graduate of Jamaica’s P.S. 15 and I.S. 59. He graduated from Bayside High School before enrolling in Brooklyn’s Medgar Ever College for a year, and graduating from Howard University in Washington, D.C. with a Bachelor of Business Administration degree with a concentration in accounting. 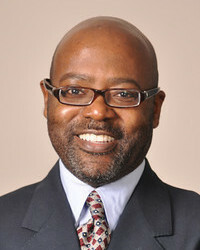 Mr. Mays also holds a Master of Business of Administration degree from Harvard Business School. After graduating from college, Mr. Mays worked for two years as a certified public accountant with Coopers & Lybrand (now a part of PricewaterhouseCoopers). After graduate school, Mr. Mays was National Advertising Director for Black Enterprise magazine. Other relevant career highlights include two years spent as District Manager of film distribution for Sony Corporation of America’s Columbia Pictures. Above all else, Greg Mays is an arts connoisseur. The Jamaica Arts Council is a New York State not-for-profit corporation and is exempt from Federal income tax under section 501(c)3 of the Internal Revenue Code. Click below for a PDF version of the Jamaica Arts Council’s tax-exempt determination letter from the Internal Revenue Service, its New York State Office of the Attorney General’s Charities Bureau registration statement, or its New York State and local Sales Tax Exempt Purchase Certificate. As a non-profit, we survive on donations. If you are so inclined, please click on the “Donate” button below to make a tax-deductible contribution. Thank you! Copyright © 2017 The Jamaica Arts Council. All Rights Reserved. Gridiculous Pro created by c.bavota.